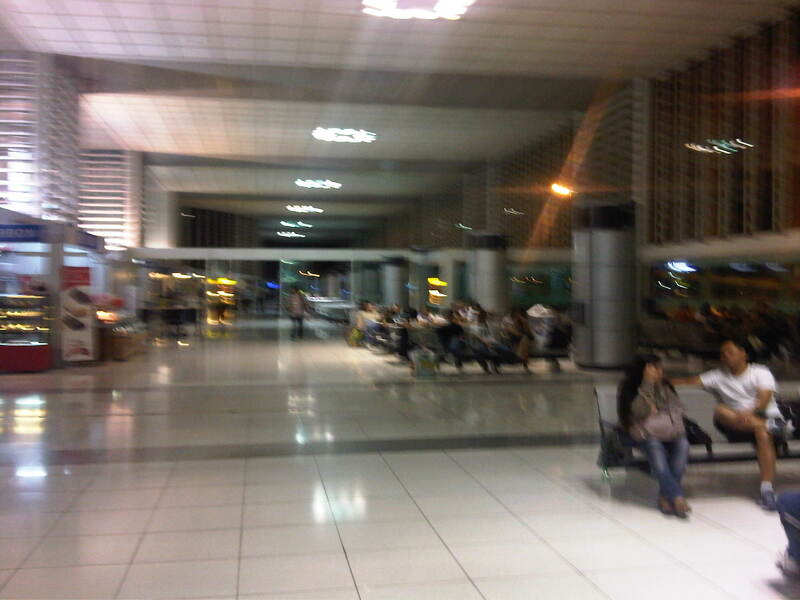 Taking the 5:30 AM flight to Roxas City, we had to be at the airport at least an hour before the ETD. We decided to come earlier in order to be able to get good seats. We were taking Philippine Airlines and the airline didn’t have an online check-in facility (!) so we decided to be there 90 minutes prior to the ETD. That meant leaving our homes around 3:00 PM to make it to the airport by 4:00 AM despite the fact that traffic is usually free flowing at those hours. 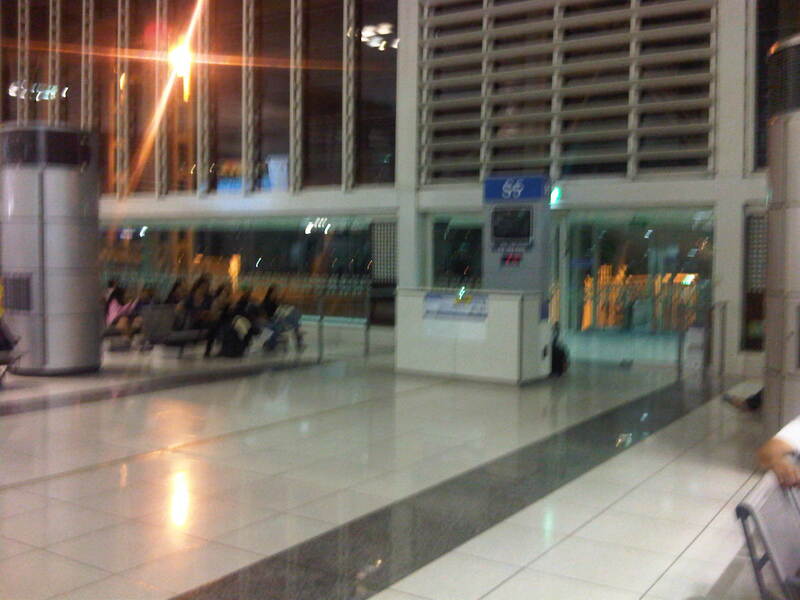 Check-in: There were few passengers at the airport despite the many early morning flights. Perhaps the fact that Terminal 2 has separate wings for domestic and international passengers also partly explain this, aside from the fact that fewer people are taking PAL. We noticed during check-in that the ground staff seemed slower than before. The staff in red uniform are supposed to be relatively new as PAL decided to outsource many of its services to cut costs. Departure lounge: The departure area is not at all crowded and you can choose wherever you want to sit while waiting for your flight to be called. Even the cafes were not crowded and we easily got a table where we could drink our coffee while waiting for the boarding call. 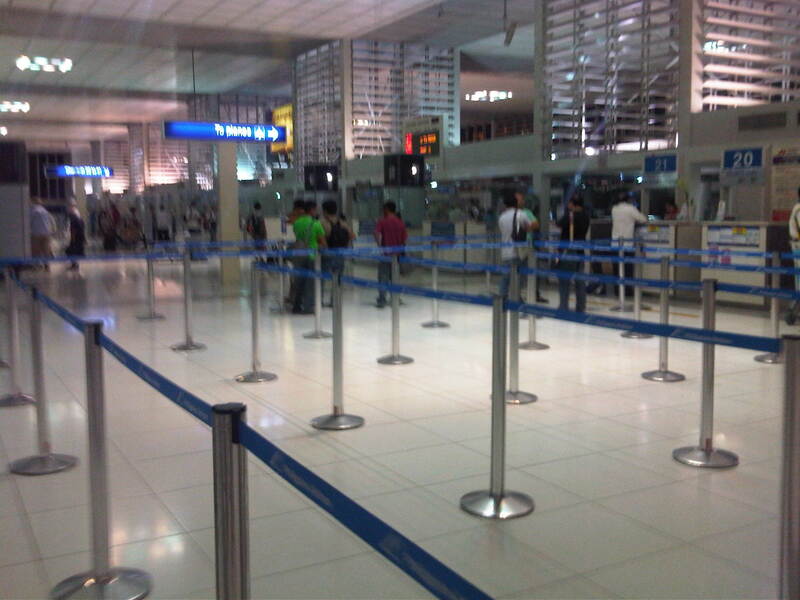 Boarding gates: The gates at NAIA’s Terminal 2 look like this with a counter in front of the gate. Only staff are supposed to be behind the counter considering security implications and issues. This wasn’t the case when I was at the same airport for a US flight last year. The ground staff who were apparently newbies along with the security people paid no attention to one foreigner charging his phone behind the counter and talking it up with staff about what’s on their computer screen! Concessionaires: There are many concessionaires inside the departure area of T2 and fortunately they open early for passengers wanting to have a quick bite or drink before their flights. Some passengers may also have to purchase last minute pasalubong and among the popular items are cakes and pastries from either Goldilocks or Red Ribbon. Terminal 3 is much better though as there are many restaurants and shops in the terminal where passengers and well-wishers can have their meals. 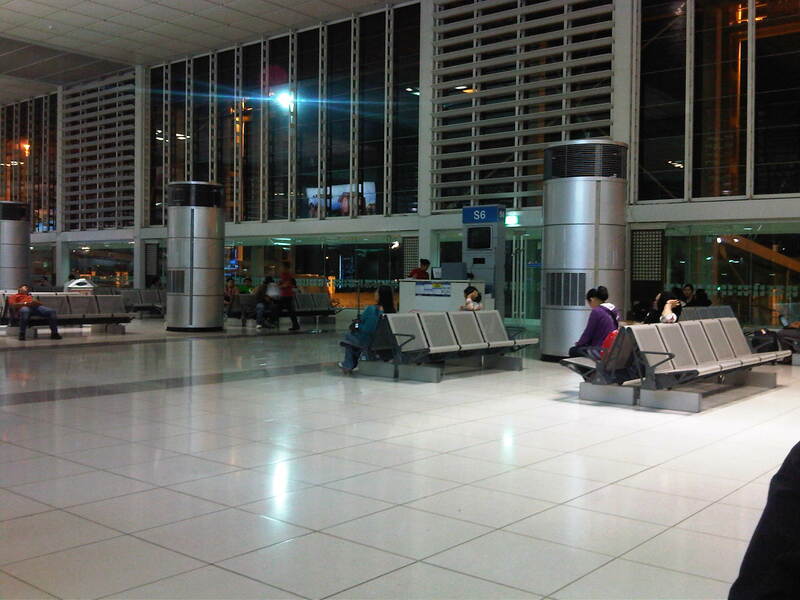 Neat and clean: Terminal 2 is not as big and neat as Terminal 3, which serves the Cebu Pacific, AirPhil Express, PAL Express and ANA flights (T2 only serves PAL). Nevertheless, I think the facilities are much better than Terminal 1 and that includes the toilets. It would seem to me that the floors are good enough for one to sit or even lie on while waiting for your boarding call. I wouldn’t recommend it though. The Centennial Terminal, as T2 is also called, is supposed to remain as PAL’s terminal even after Terminal 3 would have been fully operational. One plan called for all international flights to be serviced from T3 while all domestic flights, except those of PAL, will be at T1. Hopefully, these re-assignment of services will be done after T1 is renovated. So far, I haven’t got news about the proposed renovation including whether this will push through at all. 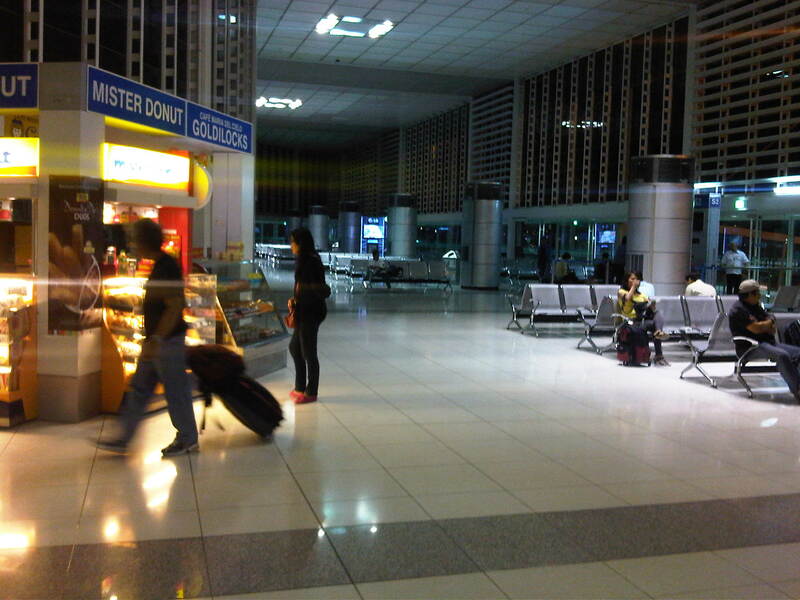 Manila definitely needs good airport terminals if only to make a good first impression on visitors. Airports, after all, are gateways and provide visitors with a preview of what a country can offer. By d0ctrine in Airports on March 15, 2012 .